I have been wanting to post this review for a while now. I wanted to test them out a few times before I posted about them. I got a brighter shade and a neutral shade. I believe these colors are both limited edition, though I could be wrong. 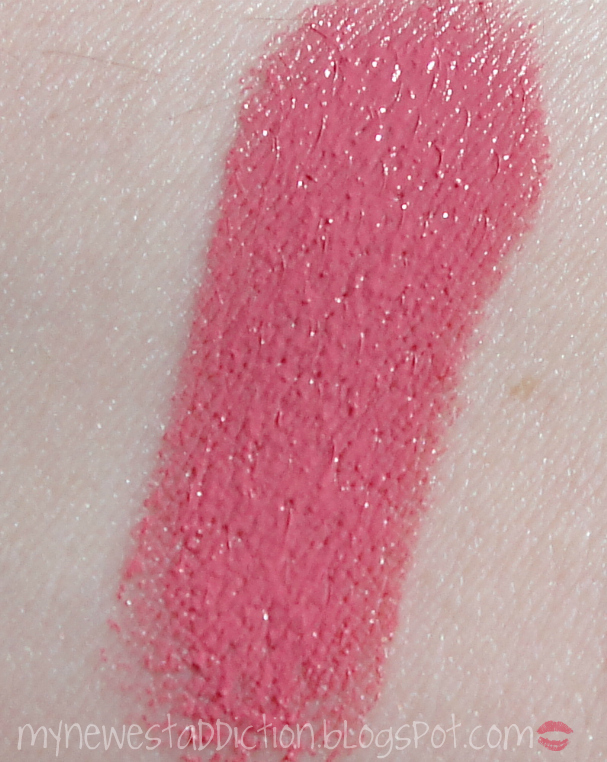 First up is the gorgeous shade 29 Rose Opera. I saw it called Opera Rose on a few other sites but this is what the packaging I have says so I am sticking with it. It is a nice medium neutral pink shade that leans on the brighter side.. It doesn’t look sooo bright in the swatches but it is downright neon on my lips. The formula of this lipstick is creamy and opaque. 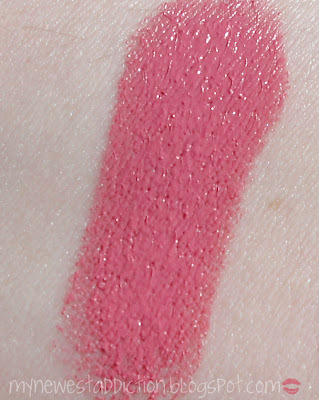 It has a slip to it that is reminiscent of a gloss but definitely packs the punch of a full-on lipstick. 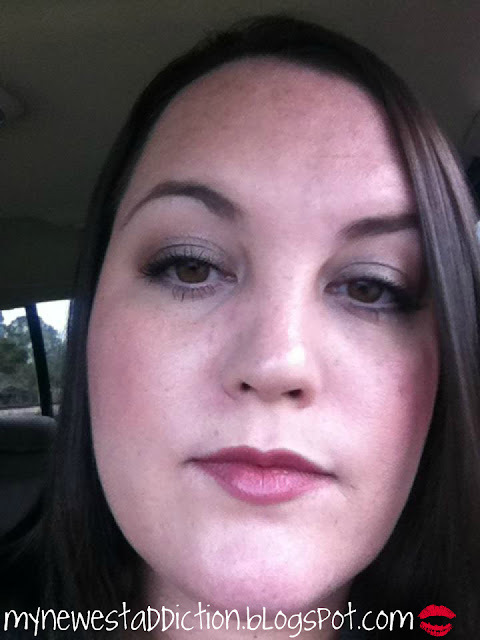 It slips on the lip a little which is nice but it does cause it to wear off sooner than other finishes of lipsticks. I do like the fact that the pigmentation of Rose Opera can leave your lips stained after the lipstick itself has worn away. As you can see in the picture below, it is a brighter color for me, although it doesn’t appear that way in the swatch. Weird, huh? I love the color none-the-less. Next up is the shade called 20 Spicy Pink. I think this is described as a “cinnamon pink”. It definitely leans brown but on the lips it doesn’t scream 1990. I find that while this is a brown-pink it does have beautiful plum undertones that pairs well with my natural deeper mauve toned lips. You can see what I was speaking of with the plummy brown tones in this pink! It looks a little dated in the swatch but I assure you that it is a beautiful color on the lips. I am wearing this lipstick in the picture below and you can see that it actually appears to be a MLBB (my lips but better) shade for me. On the technical side of the packaging, I love that you can see the shade from the outer tube. You can fish it out of your handbag with ease and know exactly what you are opening up. Brilliant concept that I wish more brands would follow. I also love that there is a little mirror on the end of the cap. I didn’t photograph that but it is a very nice well thought out detail. And the scent! Oh man! The scent is fabulous. Most brands have a slightly sweet vanilla scent or even an odd plastic scent to it… not for YSL! They went the fruity route. It reminds me of either a watermelon or papaya. It is absolutely amazing. I have even licked my lips after applying because the scent is so great, and guess what? It tastes faintly similar to what you would expect from the scent. All around great product! My Newest Addiction Rating: ♥♥♥♥♥ (5 out of 5) I adore these lipsticks. The please the senses in all aspects. Scent and smell is exquisite. To the eye they are absolutely stunning. The creamy-silkiness of the formula really appeals to me considering I have been prone to dry lips. The packaging appeals to the sense of sight and touch, as well. They are beautiful to look at: little pieces of art in my handbag. The weight of the packaging is appealing too, it just feels luxe. You could say that this delights your sense of hearing as well because I have gotten several compliments when I wear them!